Emerging technology is solving big problems, especially in the healthcare industry. 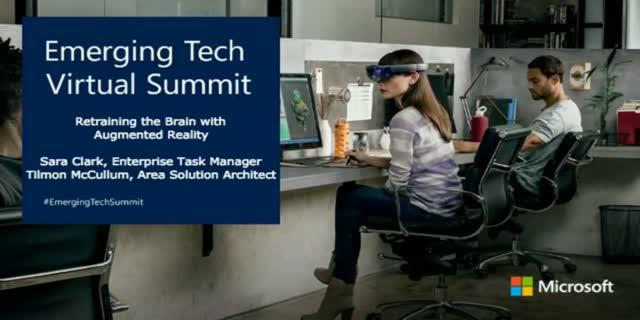 In this session, you’ll hear from a team of Microsoft experts who have proposed a way to use HoloLens to treat serious neurological conditions, such as Parkinsons Disease. Augmented Reality, Virtual Reality, IoT, Artificial Intelligence and IoT are quickly and vastly disrupting the healthcare industry. Save your seat to discuss the future of tech and treatment!